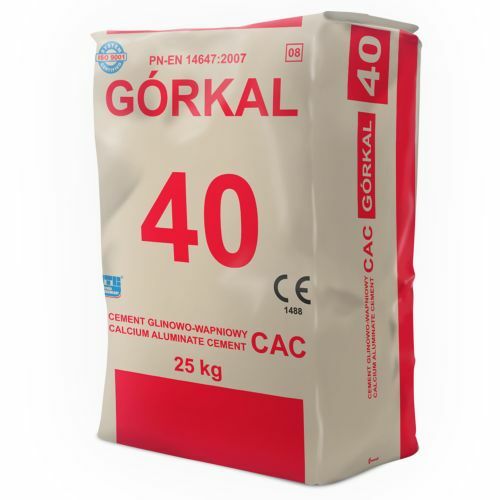 Cement GÓRKAL 40 cement is irreplaceable in the installation of heating devices operating at temperatures up to 1300 oC, which is why we recommend it for the construction of fireplaces, furnace lining, conducting repairs of chimney and ventilation ducts. The use of this cement significantly extends the life of these devices. 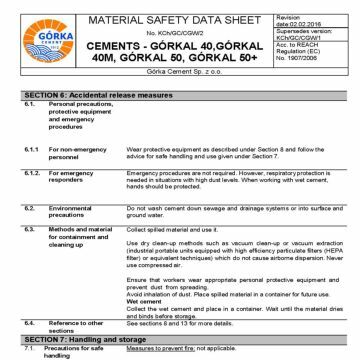 Cement GÓRKAL 40 is also perfectly at low temperatures, it can be used even at –10 oC. . 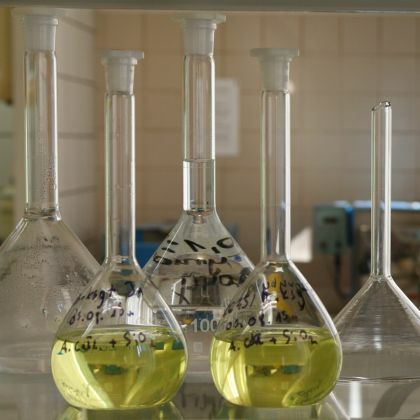 It also works well in chemically aggressive environment (e.g. 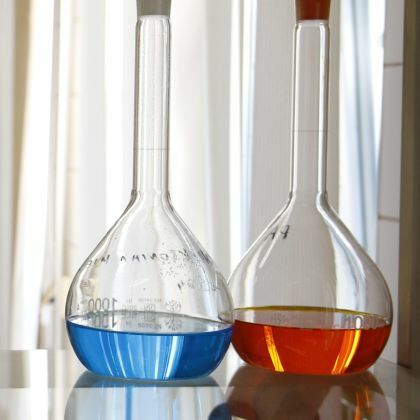 chlorides, sulphates). 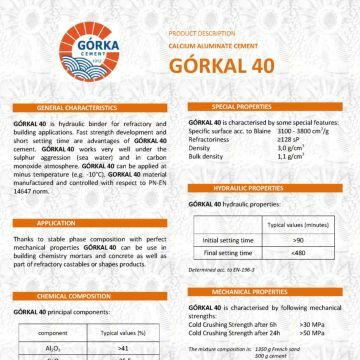 Characteristic properties of GÓRKAL 40 cement, such as short bonding time and fast increase in mechanical strength make it possible to use it in urgent home repairs. 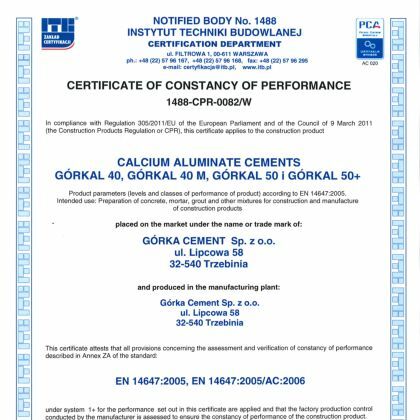 It can therefore be used for screeds, window sills and lintels.